Hayden offers a wide range of different waterway sizes and shapes to improve drilling performance in the most tough working conditions. 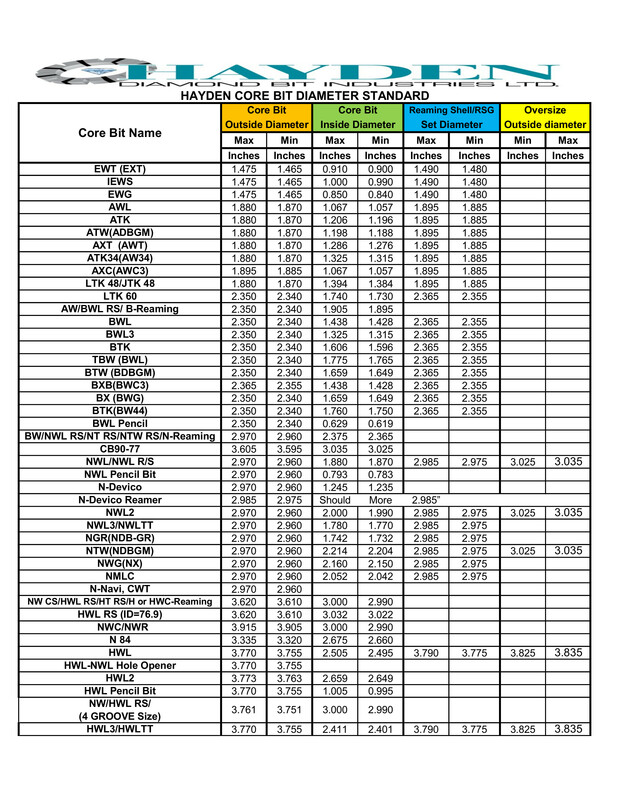 All standard waterway configurations are customizable to customers request. 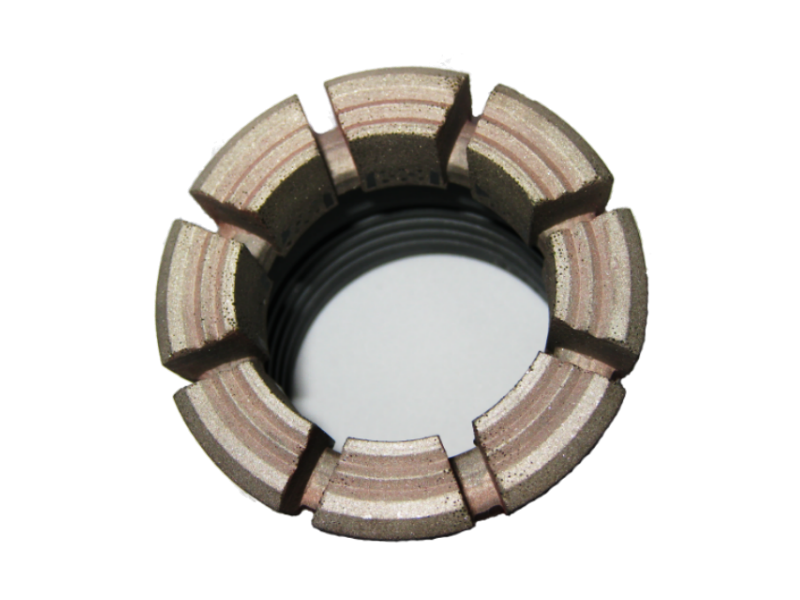 • Standard configuration utilized on a wide range of bits for a wide range of applications. 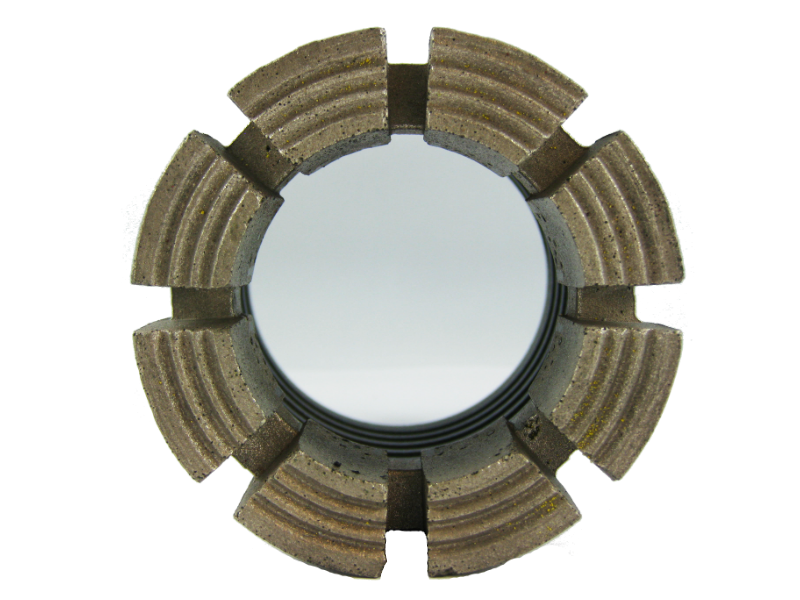 • Recommended for general purpose coring operations. • Available in narrow and wide configurations. 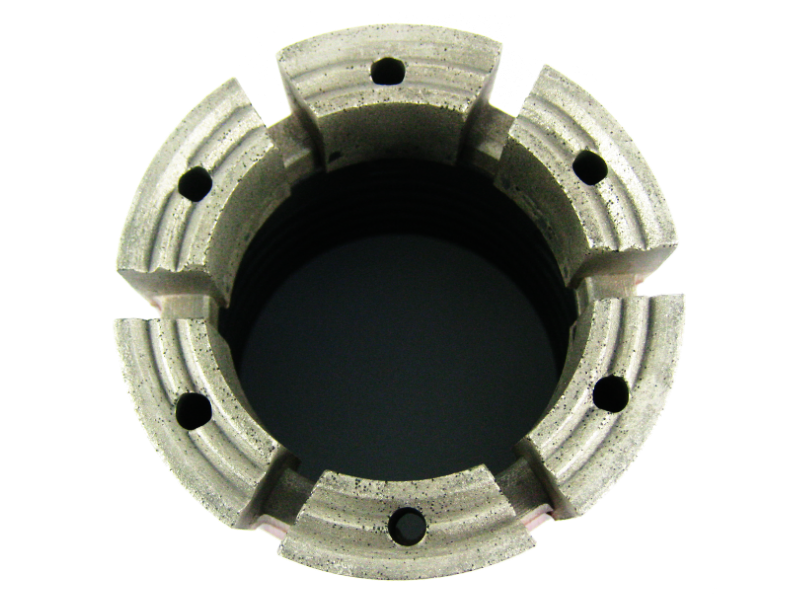 • Recommended for competent rock, hard and compact formations. 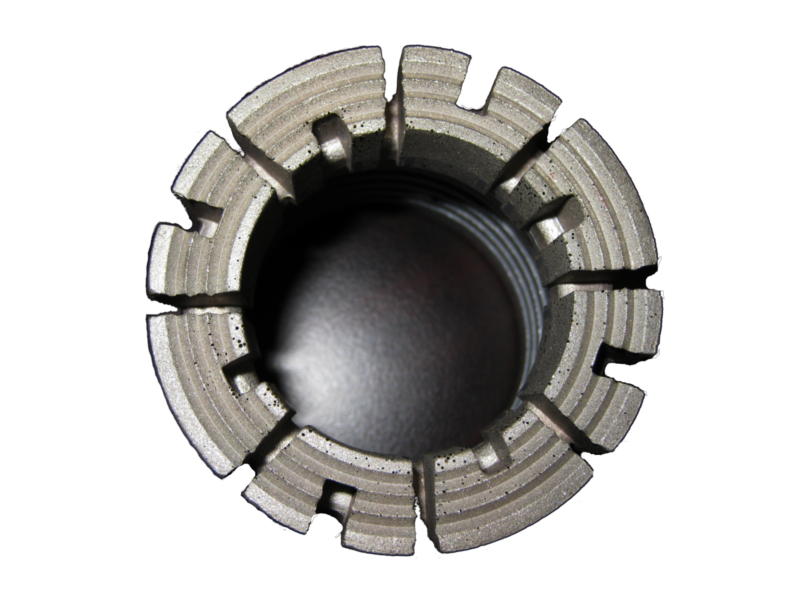 Decreases the pressure required on the bit to drill, by reducing the surface area. • Good fluid and cuttings evacuation to keep the waterways clean. • It provides greater penetration rates in most competent formations. • Suitable for soft and broken ground applications where blocking of standard waterways is possible. • It reduce pressure across the bit face and keeps the waterways free of cutting. • Deep inset waterways. Help with core recovery in difficult formations. • Recommended in broken friable ground. The deep waterways help the flush get by the bit face and reduces core washing. 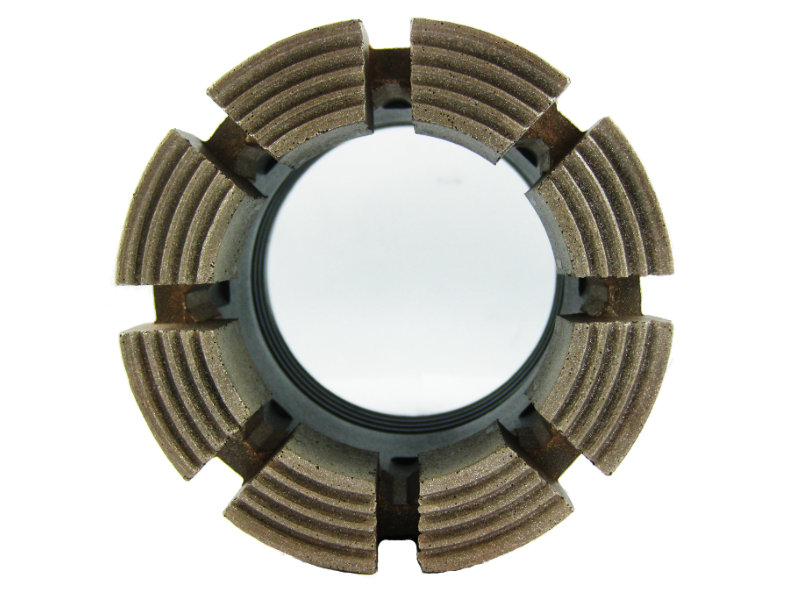 • Recommended to use this waterway configuration for rock formations that are soft and fractured. This formation minimizes the contact of fluid with the core sample. • Exclusive application in underground coal mining. • Pie/Wedge configuration has a very good fluid evacuation. • Helps with the removal of cuttings and debris by flushing the waterways and keeping them free and clean. 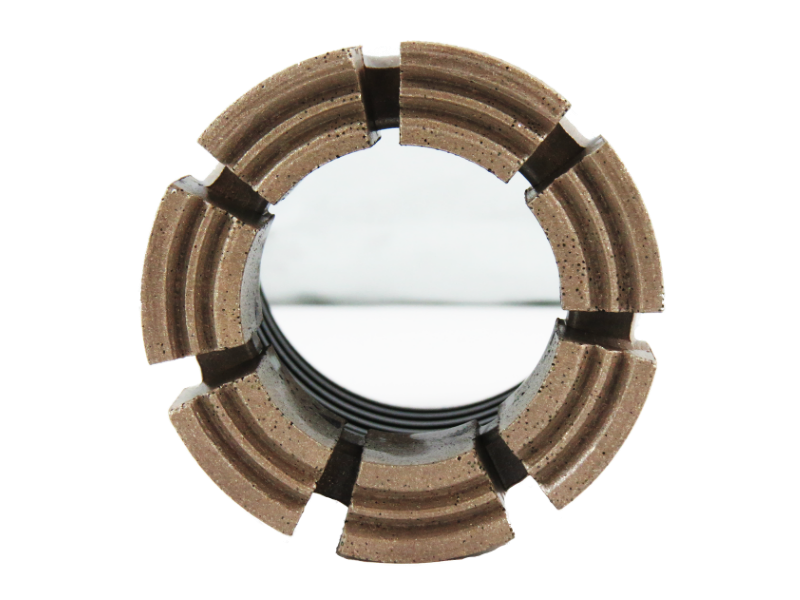 • Suitable for soft and broken ground formations. • Reduces pressure to the ID and direct flushing fluid to the face of the bit. • Prevents vaccum effect which pulls the corelifter case into the bit that causing loss of water flow to the bit face. 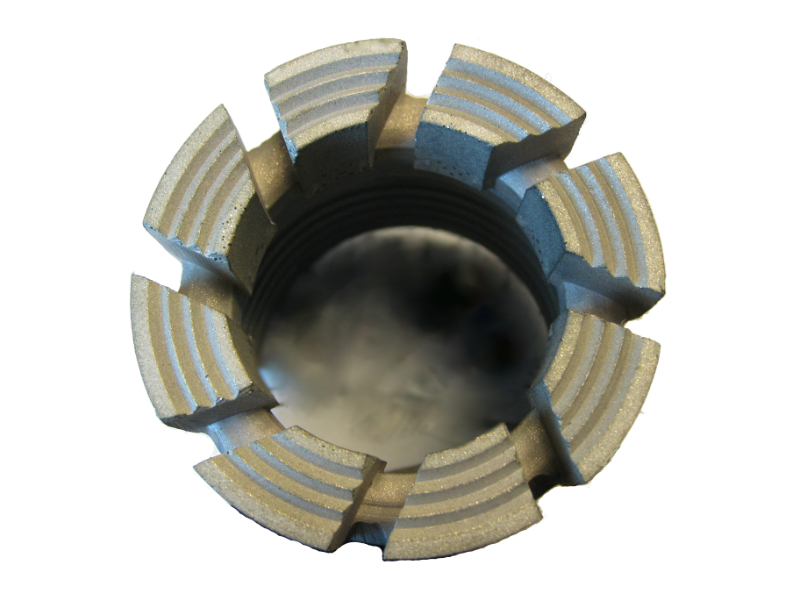 The cleareance allows water to flow past the bit face and reduces jetting and core washing. • Recommended for loss of circulation applications. • Designed with angled waterways. 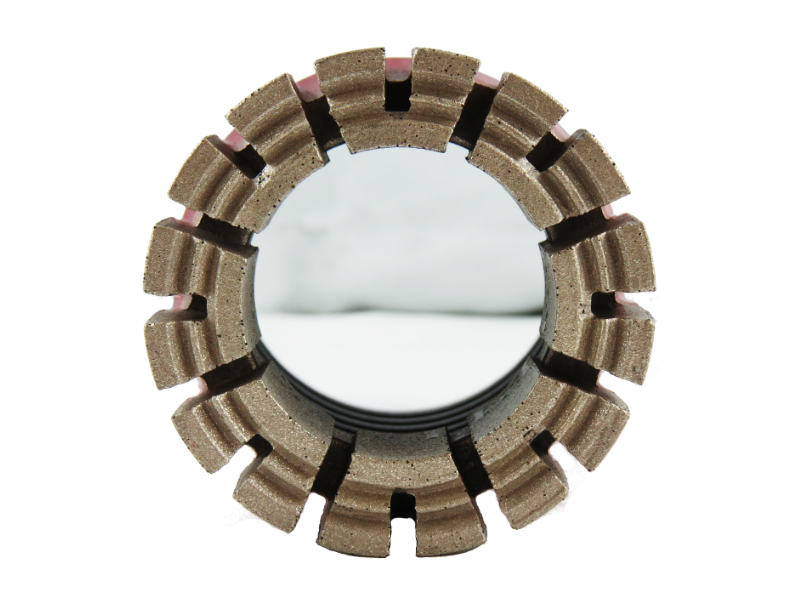 Recommended use in broken ground, the angled waterways provide a high flushing of the waterways and drilling fluids. It improves reaming shell life. • It improves reaming shell life. 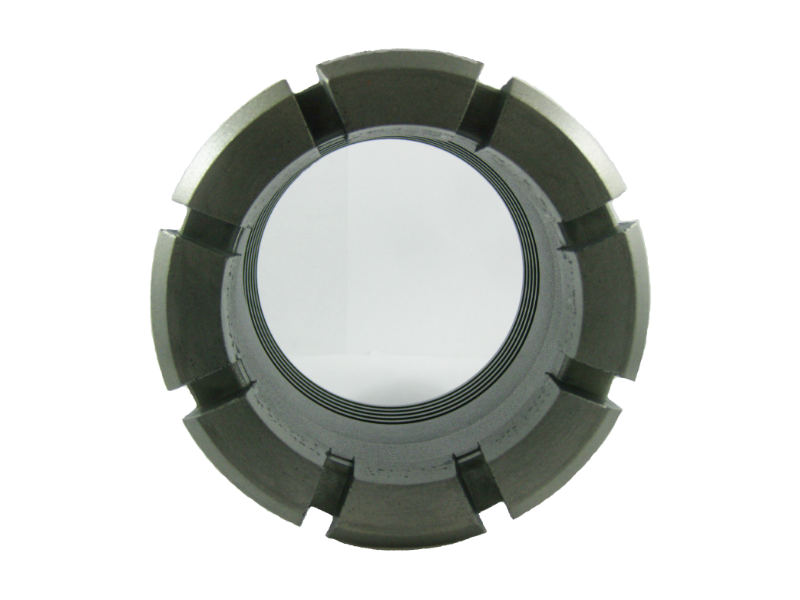 • Designed with more angled waterways for greater flushing of drilling fluids. • Recommended use in broken ground. 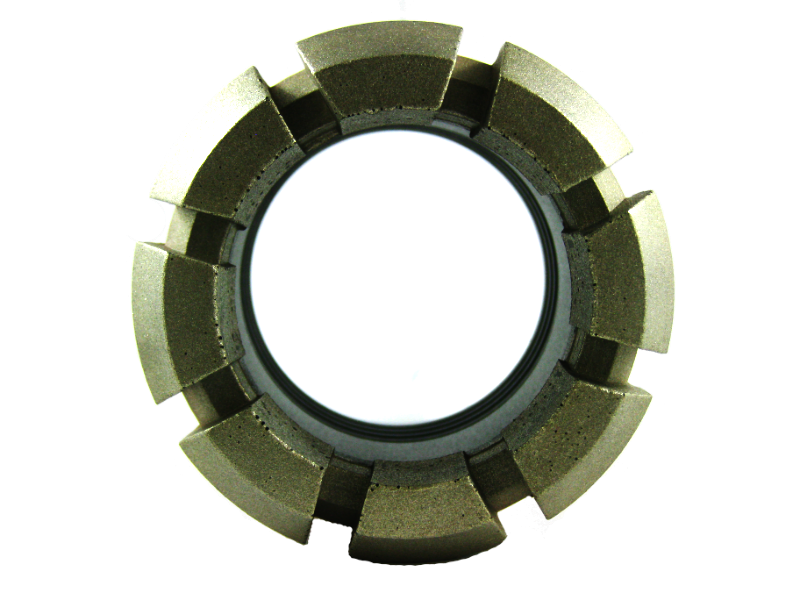 Hayden designs, manufactures and distributes impregnated diamond bits in all standard sizes including thin wall series with various crown height and waterways design using high quality raw materials for optimum drilling performance. A non-standard size can also be made as for clients demand. Measured using MOHS hardness scale: The Mohs scale of mineral hardness is a qualitative ordinal scale that characterizes the scratch resistance of various minerals through the ability of a harder material to scratch a softer material. Rock types are classified by their different chemistry and structure. Hardness in theory is relative; therefore, soft rocks can prove more difficult to drill than hard rock. Also, the same rock formations, in different locations, can drill differently. Matrix – Each of the matrices has a different rate of wear. 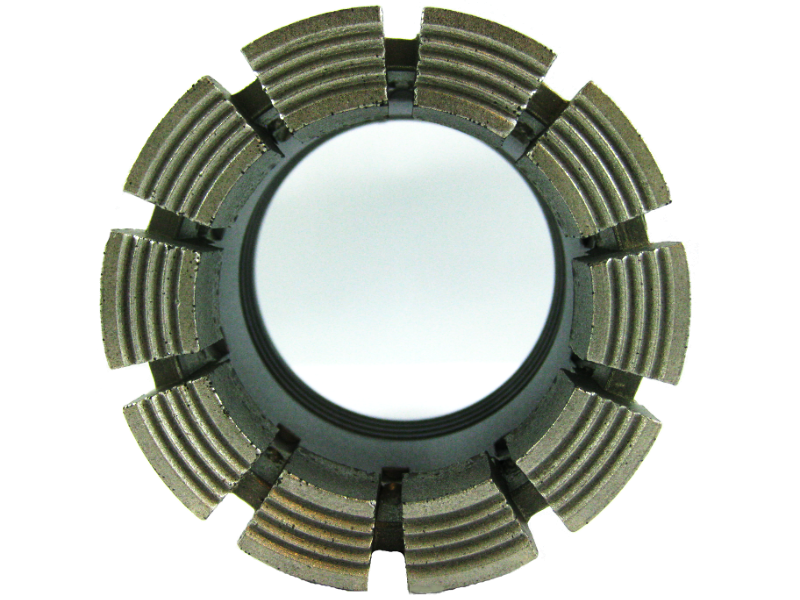 The matrix chosen is ideal when there is a balance between the wear of the matrix material and the diamonds exposing ensuring a high rate of penetration and optimum bit life. Crown Height – Ranging from 4mm to 18mm in height. With higher crowns available upon request. The height of the crown is chosen based of hole depth and wear rate. 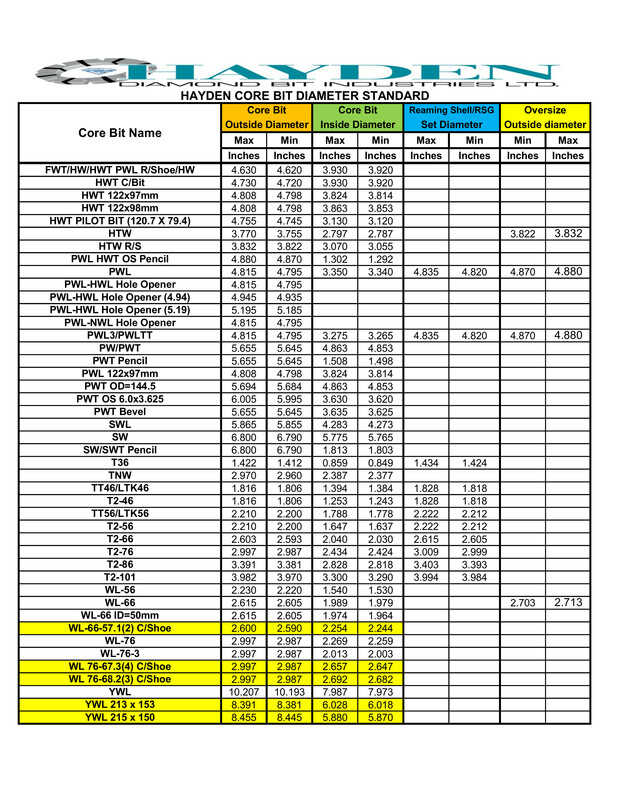 HAYDEN uses a number reference guide (Hayden 1-16), corresponding to the matrix hardness for ease of selection. (Hayden 1 being the hardest matrix and Hayden 16 being the softest.) 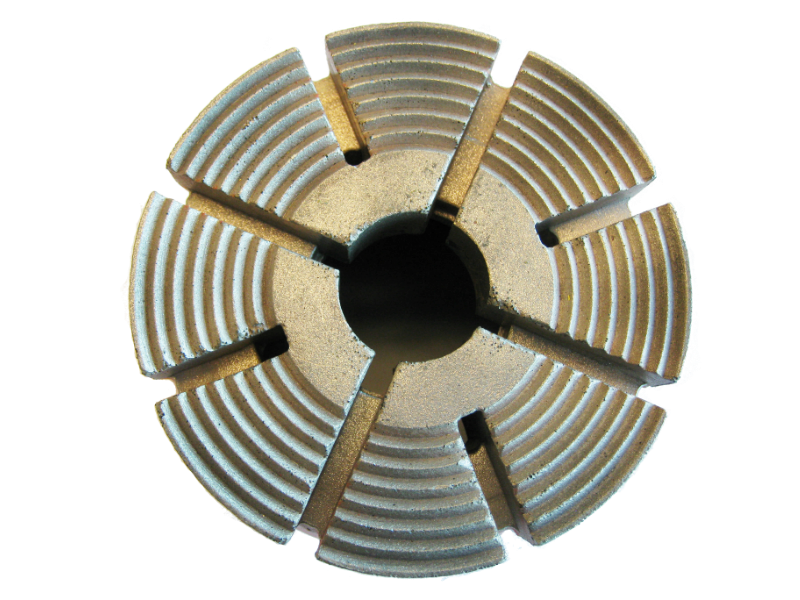 The higher the number, the harder, finer grained, more competent and non-abrasive the rock type the bit is capable of drilling. 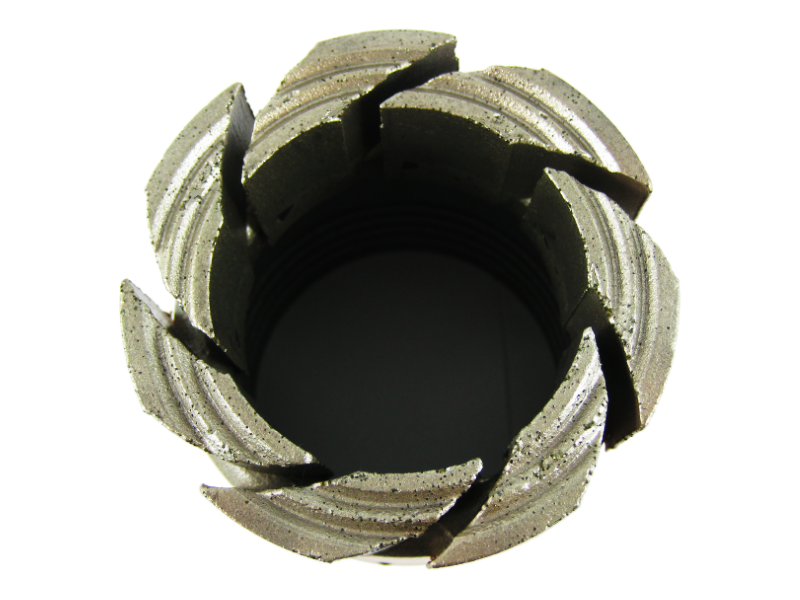 Conversely, the lower the number selected the more broken,fractured coarser grained and abrasive a formation the bit is capable of drilling. 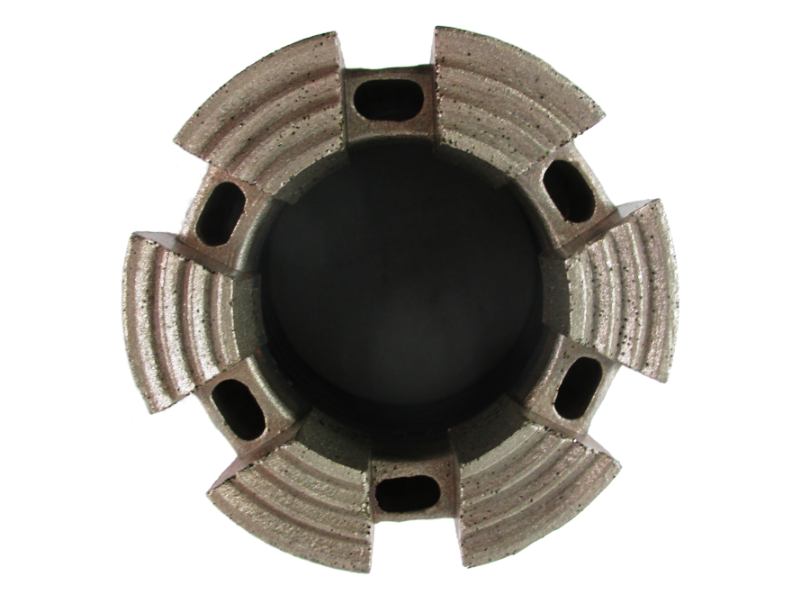 We manufacture slight variances of the standard matrices to fine-tune the bits performance considering the drill rig capabilities and formations being encountered. 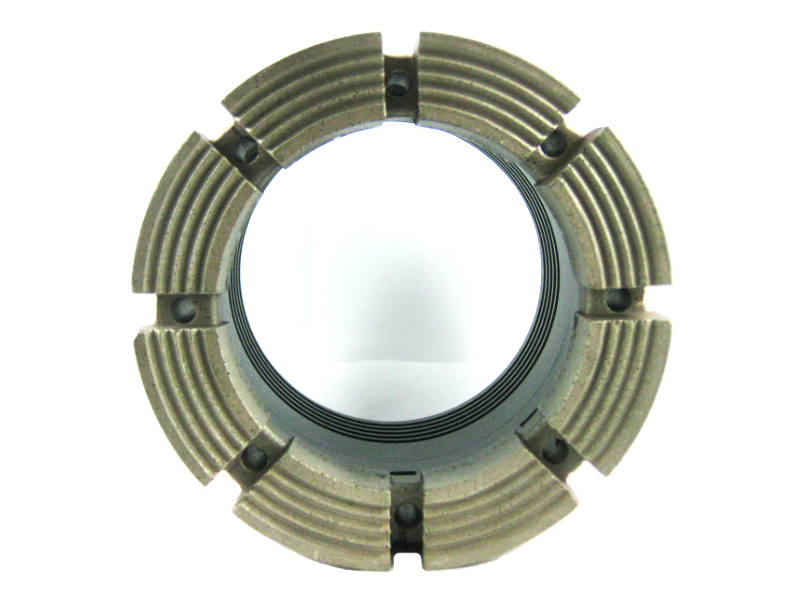 HAYDEN is capable of designing and manufacturing bits to any customer specifications and the worlds exploration industry.